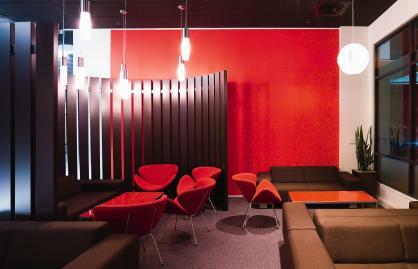 Vibrant red enlivens the new reception area of the IBM offices in Auckland. Resene Roadster features on the rear wall. The battens are painted in Resene Diesel.